Developed by Ginra Tech, Three Chicks and Friends is a new game for Android and iOS. Featuring side-scrolling arcade style gameplay and beautiful 3D visual environments, Three Chicks is a perfect game for young kids or tweens. Whilst a free download, Three Chicks and Friends is a freemium title with some in-game items (like extra lives) costing real money. 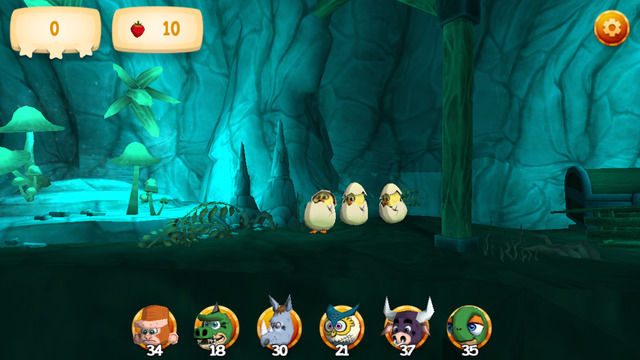 The game is set in a 3D world where the three chicks – half-hatched out of their shells – are adventuring. The aim of each level is to collect a certain number of fruit. Whether it’s apples, oranges or bananas, you collect fruit by either tapping on them or walking into them. Every level has a certain number of fruit that must be collected in order to progress. In most levels, there are a number of tricky obstacles that stand in your way. Some, like explosives, damage your chicks on contact and others will block the way or threaten to land on your chicks. The controls are simple to learn – tap the first chick to jump and the middle chick to stop moving. 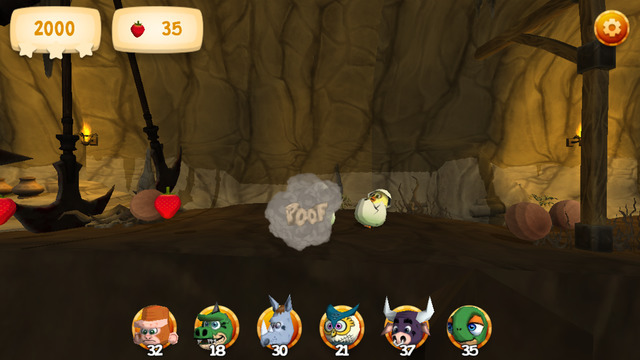 Monsters often featuring in the game environment and can be defeated by tapping on them. There are also lots of ‘friends’ that you can call on to give you special abilities during gameplay. These are introduced one at a time during the game’s earlier stages. There’s a turtle which gives you invulnerability to explosions, a bull that destroys all monsters for you, an owl which brings one of your chicks back to life and other colorful animal characters. Using some of these friends during the game can get you out of a tight spot, though calling on a friends does cost gold. The visuals in Three Chicks are impressive, with excellent 3D illustrations, textures and lighting creating an immersive environment. 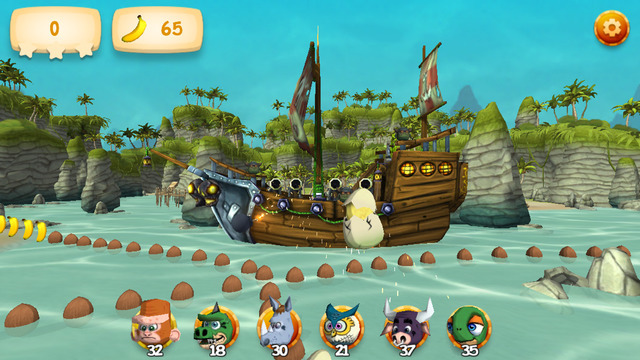 Three Chicks and Friends features an extensive number of levels, spread across a number of different areas – from a grassy field to caves and even a lagoon surrounding a pirate ship. The gameplay mechanics are simple for young people to learn and the charming visuals, music and sound effects make for an enjoyable mobile experience. Download Three Chicks and Friends for Android here or for iOS here.